This recipe is inspired by Jamie Oliver. [I love him and adore him.] Smoothies are a great way to ensure you are having a good nutritious start in the morning. 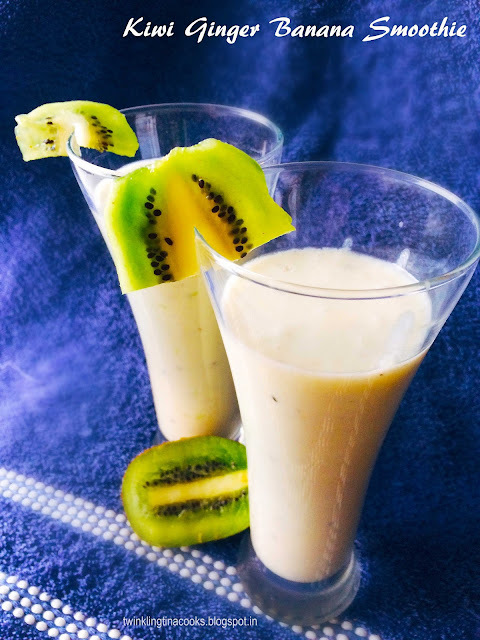 If you are running late and don’t have much time put everything in a blender and have a nice fruity smoothie! Jamie has this recipe on his site and I thought of recreating it. 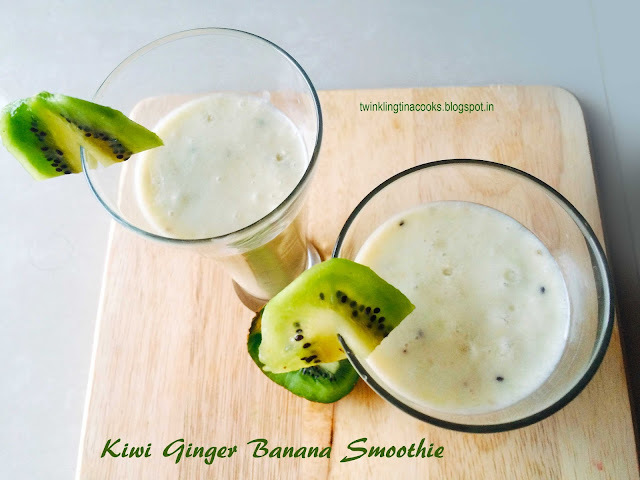 The Kiwi Ginger Banana Smoothie is power packed breakfast in itself. 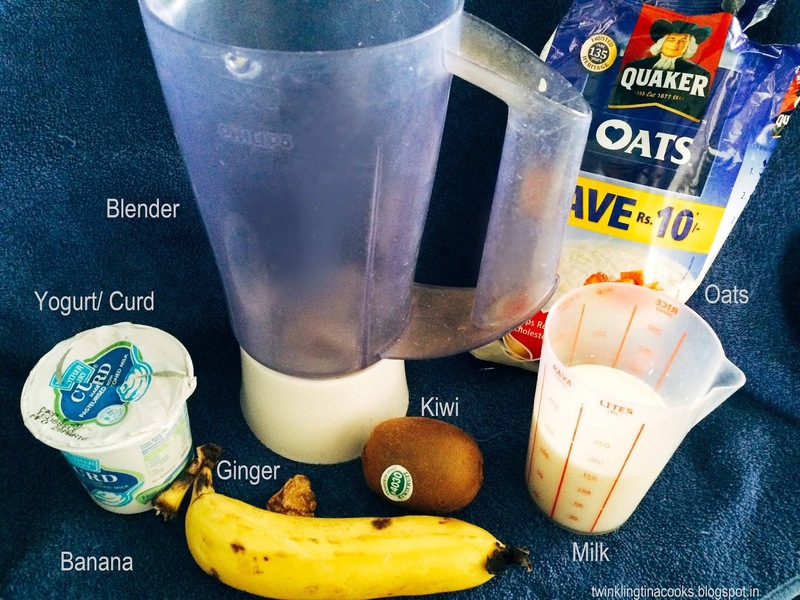 Apart from the dose of Kiwi and Banana you have Oats! How about that? Banana is a powerhouse of fiber and energy. Oats is healthy cereal for breakfast – much better than processed flour that you get in biscuits and breads! 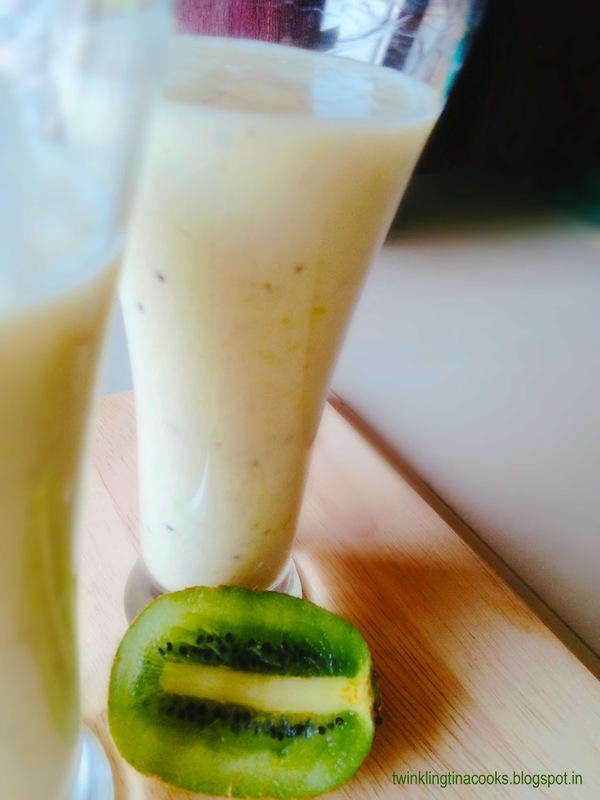 I used cold milk – that makes the smoothie super yum! You can put some almonds too to make it even nutritious. This post is written for the A to Z Challenge 2016 for Day 11 Letter K. Visit A to Z, BlogChatter to read other beautiful bloggers!